BERNAT-Natural soft absorbant cotton. Ideal for kitchen accessories baby bibs and home decor. Pattern is on each label. 100% cotton. Solids: 1-3/4 ounces (50 grams) 80 yards. Ombres and Twists: 1-1/2 ounces (42.5 grams) 68 yards. Gauge: 4=20 stitches on size 7 needles/crochet hook 7. Dyelotted. Machine wash and dry. Bulky Weight, Mohair Yarn. 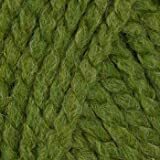 Each skein is 98 yards, 50 grams; 75% kid mohair, 20% wool, 5% nylon; 14 stitches to 4 inches using US 9 knitting needles. Spaced dye natural wool that felts beautifully. Astonishing color combinations that become more subtle and mottled when they are felted. Perfect for needle punch as well. 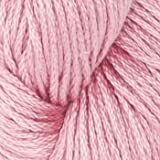 Quick to knit bulky yarn that is faster to the felting stage! Weight category: 5; 100-Percent wool; 2.6oz/75g; 84yd/77m. Gauge: 13st x 20r = 4in/10cm on size US10.5/6.5mm knitting needles and size K10.5/6.5mm crochet hook. Care: hand wash; dry flat; do not bleach; do not iron; do not dry clean. Imported. 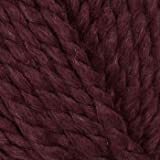 Cascade 128 Wool Yarn – Chunky Peruvian Wool Yarn from Cascade Yarn Company -Chunky Weight Yarn Cascade 128 wool yarn is spun from 100% Peruvian Wool! The 128 is verysoft and wonderful for felting projects as well as knitting. 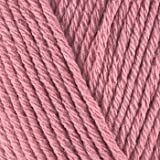 Cascade 128 knits like dream, you’ll generally use a size US10 or 10.5 knitting needle when working with this yarn. This yarn is best known for felting projects. From purses to pillows and pretty much anything that you want to felt up nicely, Cascade 128 will give you lovely results.